I bought a small bottle of Midori not too long ago that has decided to simply just hang out in my bar and not do anything constructive. It’s a freaking slacker. Jenn keeps telling me it’s up to me to put it to use. I’m not sure I’m buying. I think it’s really just lazy. So, taking Jenn’s advice I decided to put that green sloth to work. 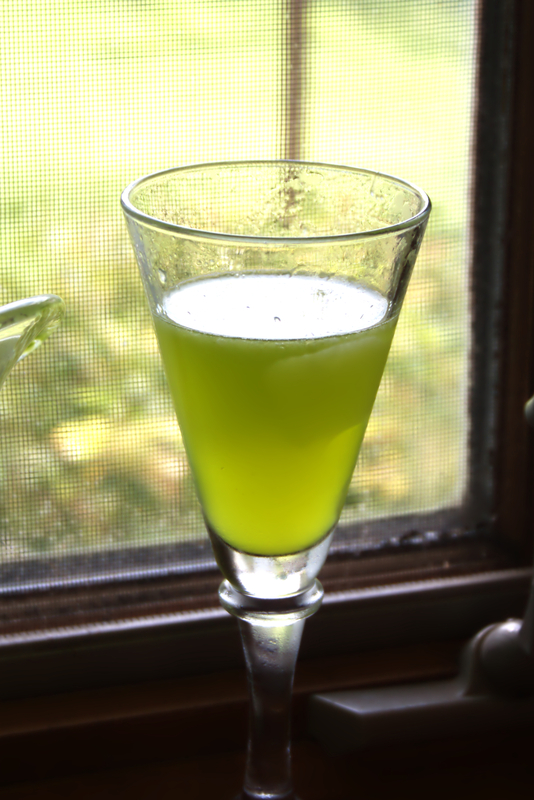 Place your Midori, liqueur and lime juice in a cocktail shaker filled with ice. Cover and shake until well chilled. Strain into a chilled cocktail glass. It’s a very pretty bright green color. Want to know what a green skittle in liquid form tastes like? It’s the Japanese Slipper. You have a very sweet, candy like flavor at the front, with a sudden sour kick on the end. It’s a great, summery sweet drink. It isn’t weighed down with heavy flavors like chocolate or vanilla, but it’s not bitter or harsh.